An Angel in Red with a Lute is a great painting created by universal genius Leonardo da Vinci, who was born in 1452 in Vinci in the region of Florence, Italy. As we all know, he was a Renaissance polymath in almost everywhere, for example, he was not only an artist but also a sculptor, architect, mathematician, engineer, inventor, anatomist, geologist, cartographer, botanist and writer. That was why he was once called superhuman! Though he was a universal genius, he turned to learn painting at the age of 14 due to his father’s reorganization of his gift to painting. Then he was educated in the studio of the renowned Florentine painter Verrocchio. 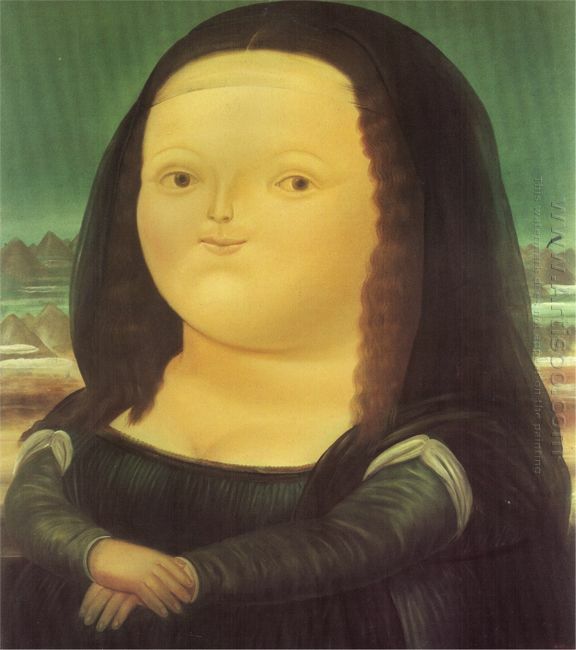 Among his works, the Mona Lisa and The Last Supper were his most famous painting and well-known to all of us today. This painting was also one of his left works. 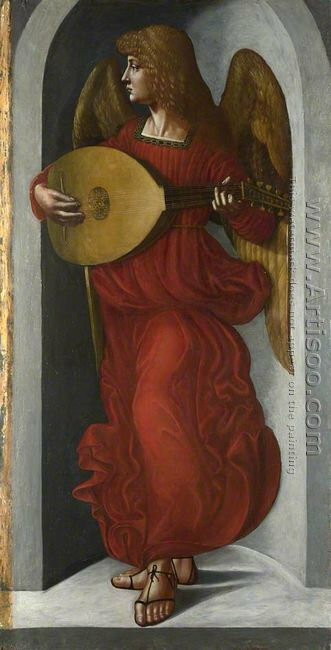 There was an angel in red dress playing a lute earnestly. The angel wore a pair of sandals which were looked like today’s fashion style. The wings were away at the back of the angel who was staring her right side, contemplating. Her curly hair was at the same color with her wings and the lute, which made the painting in a harmonious atmosphere. In all, an angel stood at a door like stone, playing here lute affectionately. An Angel in Red with a Lute was not as famous as Mona Lisa, but the delicate painting skill was deeply moved us, such as drape of the red dress made it as if we saw in real. 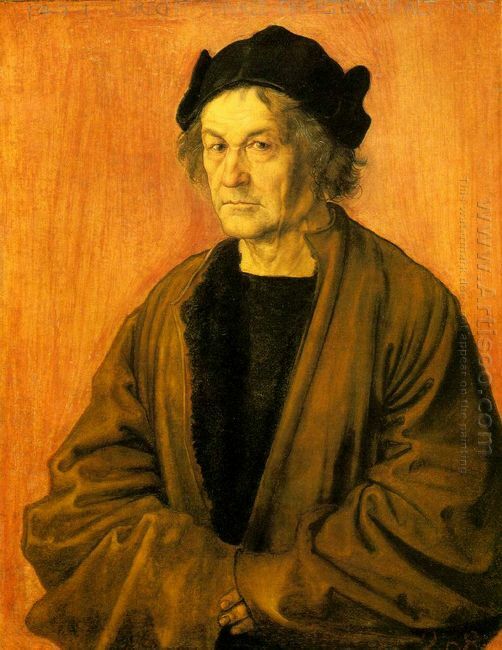 What Role did Albrecht Durer Play in Germany and European .. Located beside the river of Frankfurt am Main, The German Stadel Museum will held an exhibition about "Durer—Germany's ..
Annunciation Annunciation is an early work by Leonardo da Vinci, painted between 1472 and 1475. 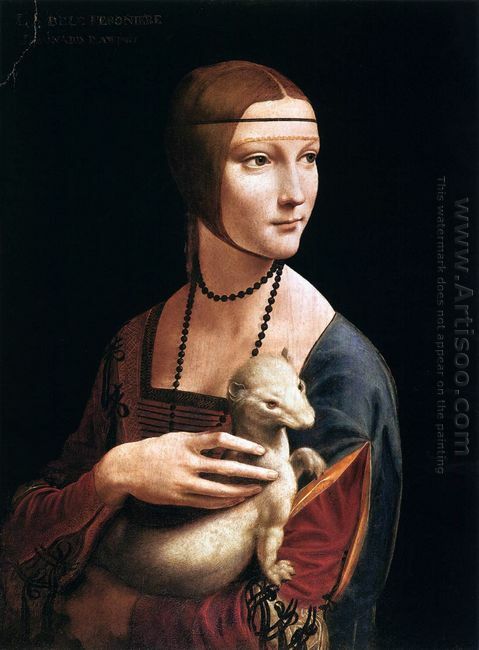 ..
Lady with the Ermine，which is also called Portrait of Cecilia Gallerani, is a painting by Leonardo da Vinci finished ..
Mona Lisa Mona Lisa which was finished in 1978 is a classic representative work of .. 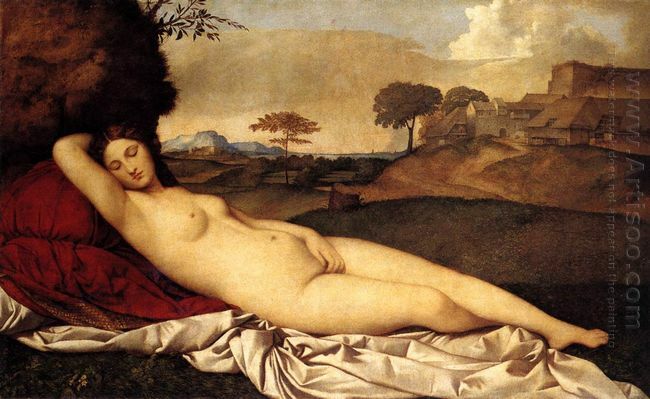 The Sleeping Venus The naked Venus made the diagonal movement and reclined in the outdoor .. This entry was posted in Renaissance and tagged Angel, artisoo paintings, Leonardo Da Vinci, Renaissance. Bookmark the permalink.